Roberto Navajas, is a professional football coach specialized in goalkeeper coaching. 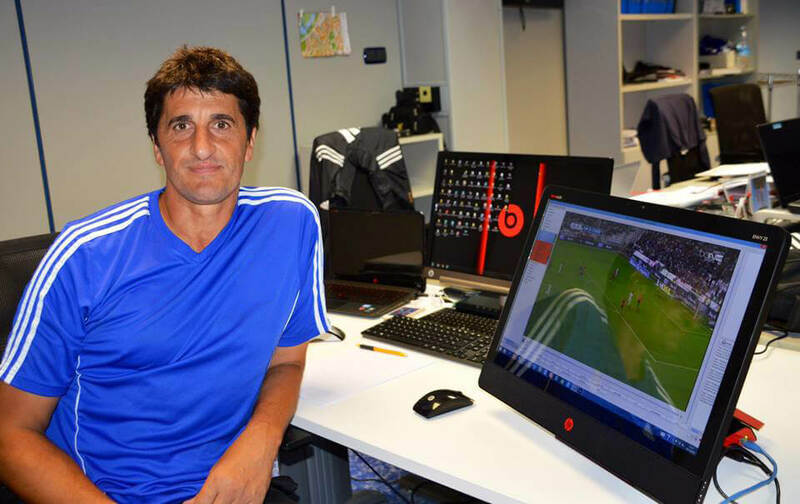 Roberto developed the creative methodology system used throughout his goalkeeper development programs. He is the creator and director or ZEROGRAVITY and the state of the art ZEROGRAVITY PROGRAM and APP. ROBERTO is an expert in the personal development of the player, with a very strong relationship with the goalkeepers he works with, getting the best out of them. He has given several conferences about the goalkeeper coaching all over the world like Italy, Poland, Croatia, USA, Canada, Chile, etc. He has also been a speaker at the Spanish Football Federation in the goalkeeper training master. ROBERTO NAVAJAS has createda learning methodology that adapts to each goalkeepeer and coach, integrating their goalkeeping knowledge with coaching tools to be able to design a tailored program in order to achieve their highest performance.